Welcome to the team, Amit Pujara! We are delighted to announce yet another new member to the Suntrix team. Amit Pujara joins us as our Solar Consultant for New South Wales and will be based out of Sydney. 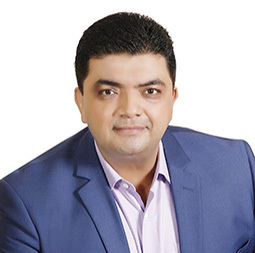 Amit completed a Masters in Business Administration at the University of Western Sydney in 2001 before embarking on a career that has equipped him with extensive experience in the energy efficiency industry. He has worked closely with wholesalers and a wide range of electrical contractors and property developers from the renewables sector; and has successfully completed various large and industrial-scale projects. Suntrix is already known in New South Wales for its award-winning 100kW floating solar installation for East Lismore’s Sewage Treatment Plant; and with Amit on board, we will now have a local presence to serve even more organisations in and around Sydney with our bespoke solar solutions. If you would like to speak to Amit about getting solar for your business in Sydney, please call us on 1300 884 898 or you can use our online enquiry form to request a free no-obligation consultation and quote.